Home / News / Is This the Taste of Christmas? Is This the Taste of Christmas? ‘Tis the season to be merry and reward yourself for all of your hard work during the year! At Muffin Break, we’re celebrating the festive season with a limited-edition Christmas muffin. With its subtle and delicate flavour, our muffin with a hint of chai is the perfect indulgence for this time of year. Topped with delicious icing and a velvety chocolate Lindor ball from master chocolatiers Lindt, this luscious muffin is a crowd pleaser. It not only looks like a work of art – it just might be the taste of Christmas! Take a break from your shopping and enjoy it with a cup of our award-winning coffee, made with love by our skilled baristas. All of our baristas are trained in the art of making the perfect cup. We can also help take the pain out of your Christmas shopping this year! In 2018, we’ve turned your local Muffin Break into something of a one-stop shop for delightful and easy festive gifts. Whether you’re shopping for teachers, neighbours, friends or colleagues, we’ve got the ideal solution. 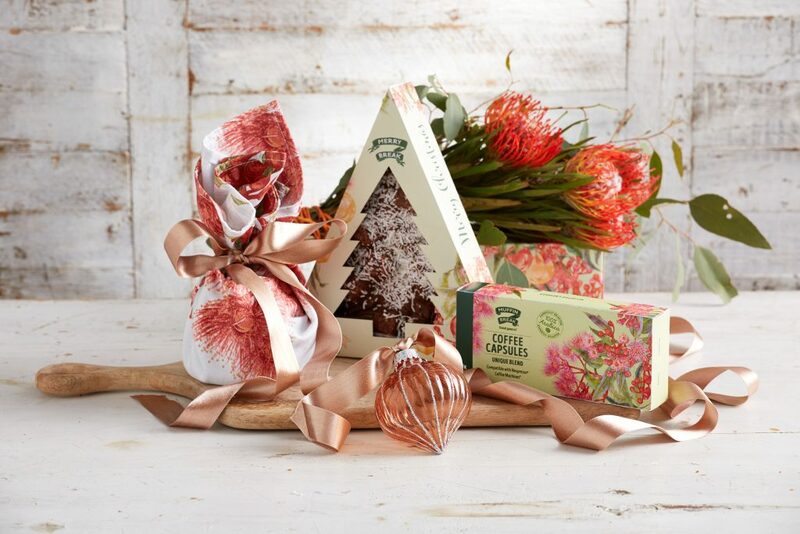 Our philosophy at Muffin Break is that the “Good Goes In.” That’s definitely reflected in this range, with all of our gifts beautifully packaged in Australian botanical illustrations by well-known local artist Adriana Picker. Our Traditional Christmas Puddings are sure to please, made in-house and wrapped in a special edition tea towel. Or if you know someone with a serious sweet tooth, delight them with our handmade and edible Christmas tree! For those who like to drink award-winning coffee at home, we also have a festive range of Muffin Break coffee capsules packaged in Adriana’s beautiful designs. All for $10 or less! Become a super Santa – or a secret Santa – with Muffin Break this year. It’s no secret that Australians have loved our freshly baked goods for almost 30 years. Our Christmas muffin is only available for a limited time. Make the most of the festive season – find your local Muffin Break store now.